MANILA -- Six senators on Thursday asked the Supreme Court to reset the oral arguments on their petition, seeking to invalidate the Philippine government's withdrawal from the Rome Statute of the International Criminal Court (ICC). 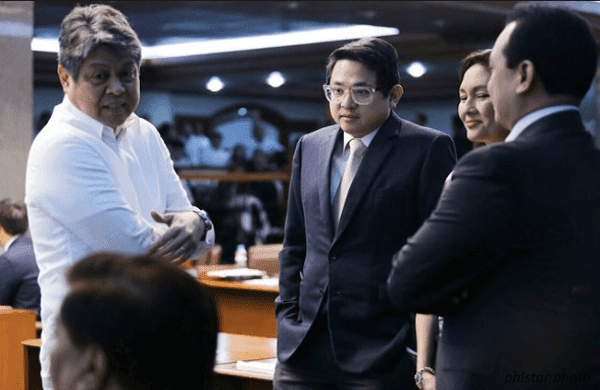 In a four-page motion and manifestation, senators Kiko Pangilinan, Franklin Drilon, Bam Aquino, Antonio Trillanes IV, Leila de Lima and Riza Hontiveros requested the High Court to defer the oral arguments on August 14 to August 28. The lawmakers said they have yet to receive a copy of the en banc’ decision junking de Lima’s bid to personally argue the case. informed that such resolution is not yet available,” the group's motion read. They said they would also appeal the en banc’ resolution as soon as they receive an official copy of the decision. Currently, the senators do not have a lawyer to represent them for the oral arguments on August 14. If the SC would grant the senators' motion, it would be the second time that the oral arguments on the issue would be deferred. The SC originally set the oral arguments on August 7 but then moved it to August 14. In dismissing de Lima’s plea, the SC said it found no compelling reason to have her to personally appear during the conduct of oral arguments. The Court noted that the senator, currently detained at the Philippine National Police-Custodial Center due to illegal drug charges, failed to raise circumstances or competencies exclusive to her that would make her appearance necessary. The senator is accused of benefitting from the illegal drug trade inside the New Bilibid Prisons (NBP) in Muntinlupa during her term as justice secretary. The second petition was filed by the Philippine Coalition for the International Criminal Court (PCICC) led by former Commission on Human Rights chairperson Loretta Ann Rosales. - Whether or not it will diminish the Filipino people’s protection under international law. On March 14, President Rodrigo Duterte announced the Philippines’ withdrawal of its ratification of the Rome Statute, a United Nations treaty creating the ICC. In the statement, Duterte cited the “baseless, unprecedented and outrageous attacks” against him and his administration as the reason for his withdrawal as a state party.